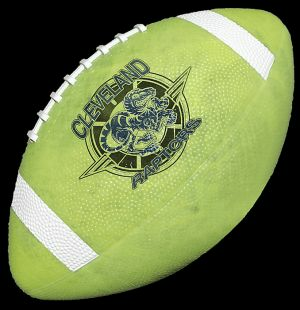 PromotionChoice.com offers a mind boggling array of different custom printed footballs for your marketing or branding needs during football season. 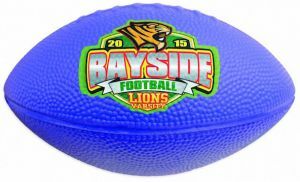 Our massive selection includes custom mini plastic footballs, personalized mini vinyl footballs, to promotional foam footballs, to official full-sized imprinted footballs customized with your company logo or design, team photograph, or text message. Order from us and benefit from our low prices and fast lead times! 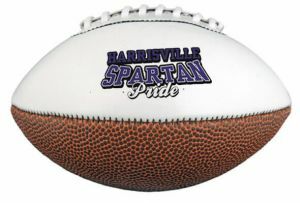 Create your Branded Footballs with your Company Logo for a Successful Football Season Campaign. Each year, football season officially starts in early September. Planning for a successful marketing or business campaign starts before that, perhaps in July or August. 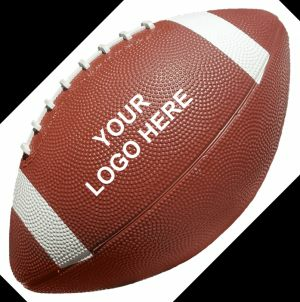 This will allow you time to design a great company logo and/or text message, so that your final artwork can then be printed onto the perfect customizable footballs of your choice. 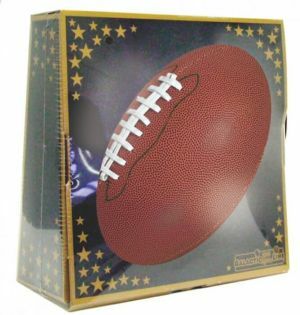 Here at PromotionChoice.com, our selection of promotional footballs is so huge, you will be sure to find something that fits your company or personal needs! 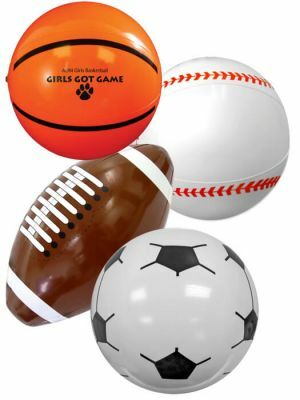 Our printed mini footballs or custom foam footballs are perfect for throwing into the crowd at parades or events. 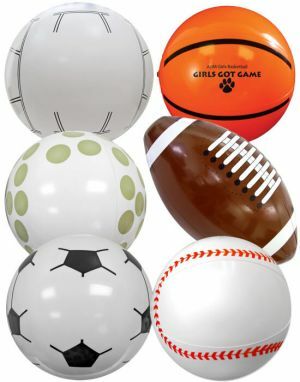 These mini custom printed footballs or foam footballs with logos are constructed out of safe, soft, and lightweight materials so they will not hurt anyone when thrown. 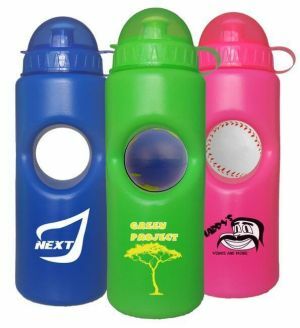 They are available in a big variety of colors such as white, green, yellow, purple, black, blue, orange, brown, or even glow-in-the dark. 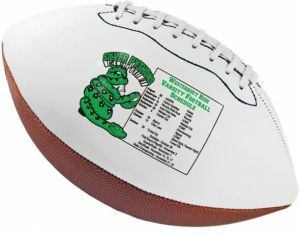 For more "realistic" personalized footballs, be sure to check out our unique printed signature footballs, which are perfect for gathering autographs. 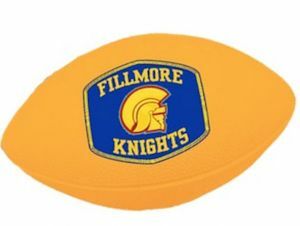 In addition, don't forget to shop our quality but cheap synthetic leather customized footballs, or authentic branded Wilson custom footballs with logo as well. 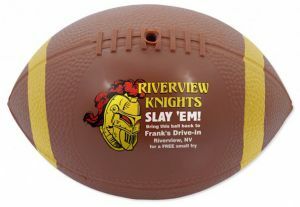 For school events, many customers tend to like ordering our personalized signature footballs. 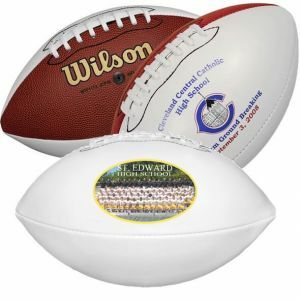 These synthetic leather custom footballs with logo have a white panel that allow custumers to print a full color photograph beautifully, while another white panel allows for signatures or autographs to be collected. 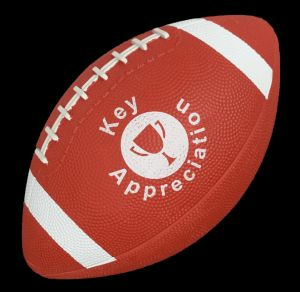 This is the perfect memorabilia that will be cherished for years and years to come by each lucky recipient. 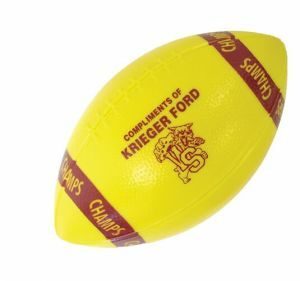 For those who desire the best in quality, we have our highest line of genuine promotional Wilson promotional footballs. 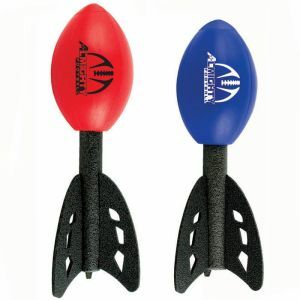 These are made of composite leather and are extremely durable. 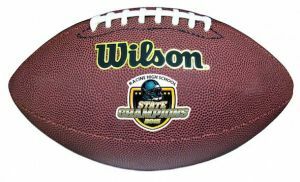 Our imprinted Wilson balls come in two styles - regular branded full sized footballs and customized signature footballs with white panels. 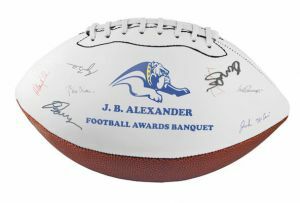 These printed autograph footballs are cetrainly one of our best sellers and are super popular with schools as gifts or even trophies for their football teams. But don't forget we have something for everybody! 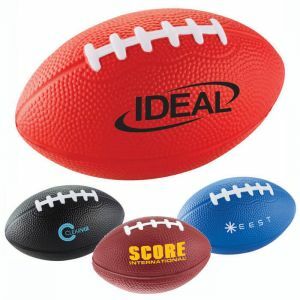 For those who may be a little more budget conscious but who would still like very nice but affordable promotional footballs for your events or campaigns, be sure to check out our imprinted foam footballs or logo footballs in mini or mid sizes. 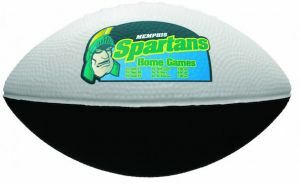 Our promotional foam footballs come in either 7" or 11" and are available in a wide variety of colors. Pick a color that will complement your event or company color! 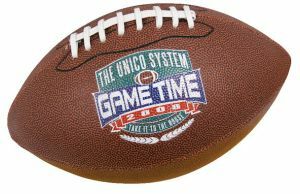 And mini or mid-sized synthetic leather wholesale footballs are available in 8" or 10" (measured on the arc of the logo footballs). 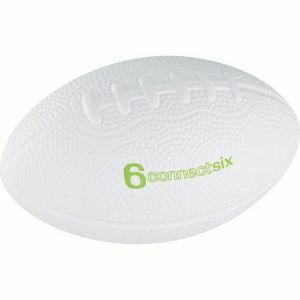 So buy some wholesale footballs in bulk today, printed with your lovely logo or design. 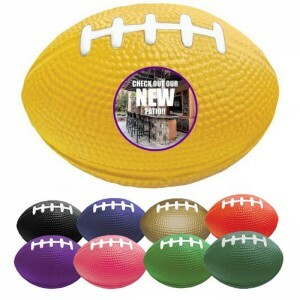 Our selection is huge - not just in terms of styles of customized footballs, but also in terms of colors and sizes. We are confident that at Promotion Choice, you will find exactly the style and quality you need, and you will find it at low, cheap prices. 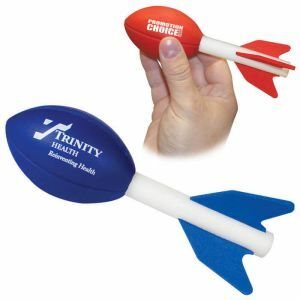 Bring some fun to your event and enhance your company image with these print footballs. We are looking forward to assisting you with your order today.